Cross-country skiing's Continental Cup was held in Moscow, with the home sportsmen claiming top spots at the podium. 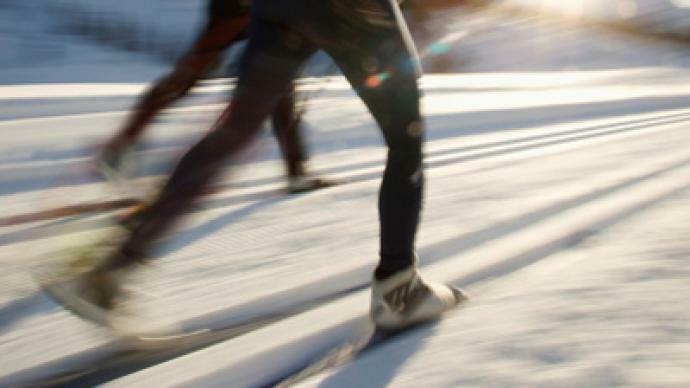 Cross-country skiing in a park in the center of the Russian capital?It may surprise locals, but not citizens of European cities, where such competitions are far from unusual occasions. The stars of Russian skiing got to try out the course before the latest race. “I love events like these in cities, there are usually lots of spectators. And I tend to be very lucky here too! For me it was a hard race because I'm just starting to reach my potential. So I'm glad to win today,” said Olympic bronze medalist Natalya Korostelyova, who won the race. The men's final turned out to be a real cracker. Aleksey Petukhov, another bronze medalist at Vancouver 2010, was the first to cross the line in a dramatic race after his main rival lost his balance. “It’s great that this competition was held here. Despite there being less fans than, say, at a World Cup event, the organizers are happy with how the day turned out,” Petukhov stated afterward. Moscow has been desperately trying to host a leg of the World Cup in cross-country skiing, and the good news is that the city has now won this right.On Wednesday, International Ski Federation officials watched to verify if Moscow was able to host an event of the highest caliber, and the city seems to have passed the test. So next year the capital will see the world's best skiers racing, perhaps even on Red Square.